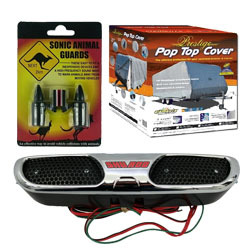 There are a wide range of exterior vehicle accessories available from Motoquipe. 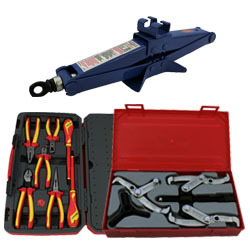 Many of these are designed to keep your car looking as good as the day that you drove it home, while others protect against the wear and tear that comes with regular use. Some accessories though, are more than aesthetic, and prove crucial when it comes to driving safety. The best of these are designed with multiple functions in mind, and windscreen wipers are no exception. It's no accident that every car comes with windscreen wipers. They're not simply there for window dressing, and are actually one of the most important safety features on your vehicle. Without them, driving in adverse weather conditions would be next to impossible. They also provide a quick and easy way to clean your windshield, ensuring that you've got a clear surface to see through. Wipers don't last forever though, so it's a good idea to make sure that you replace them when they start to wear out. Windscreen wipers are made of rubber. This is great when it comes to keeping your field of vision clear, but the material will wear down and eventually need to be replaced. The length of time between needing new sets varies depending on the circumstances, but in general once every six months or so is a good idea. If you drive a lot, or live in an area with a more demanding environment - like the dusty outback - you may need to replace them more frequently. There are a range of reasons why you should ensure your wipers are up to par, ranging from failing your warrant right through to the possibility of an accident. If your existing set starts to squeak, or begin to leave a film of untouched water and residue on your windshield, it might be time to consider purchasing new windscreen wipers. 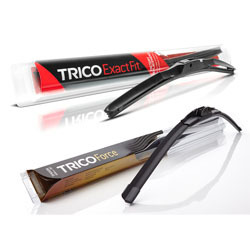 Motoquipe offers an extensive online range of Trico wipers to suit vehicles of every shape and size. Like our other custom car products, the wipers we stock are designed specifically for a certain make or model to ensure the correct fit. Crucially, our wipers are made of high quality rubber, with steel frames and UV-stabilised shells to ensure optimum performance and durability. The wipers are incredibly easy to fit, meaning that installing a new set yourself will only take a few minutes out of your day before being ready to hit the road. Motoquipe also stocks an extensive range of rear-window wipers, which can often be neglected even if the windscreen has been taken care of. If you want to make sure that your car is as safe as possible for you and your passengers, you'll need to ensure that you have fresh wipers of the correct size installed. For more information on the Motoquipe range, contact our expert team today.